Agamasat resources are having more than 12+ years of real experience in the Geographical Information System (GIS) domain and specializes in undertaking GIS contracting services like GIS conversion, GIS Mapping, Digital Image Processing, Remote Sensing, Utility mapping, GIS based Application Development, Conversion of manual maps to GIS etc. Client satisfaction is our organization’s goal, we constantly strive for the benefit of our customers by providing cost effective solutions in spatial sphere in a speedy manner and with a high level of accuracy. In Agamasat, we follow industry standard processes / procedures with the help of leading mapping software platforms to meet our client’s requirements. Agamasat strives to provide best solutions and undertakes a consulting assignment before proposing a comprehensive solution to its customers. Agamasat assists clients with the assessment of their spatial data needs, data collection and capture procedures, and hardware & software evaluation. 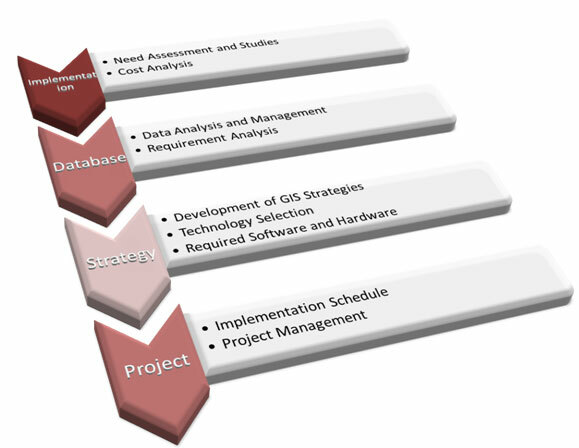 Our consulting assignments help identify / creation of the geographic data, applications, geo-database design, and implementation methods etc. Agamasat offers end-to-end customization and application development solutions on all the leading mapping platforms for data conversion, application development, web application development, mobile applications, data mining and data migration. Designing systems using open application architecture to enable easy data integration from remote sources thru a web browser interface and with third party vendors. Agamasat do have its own standard methods to create, enhance, and maintain geo-databases, which in-turn allow us to retain extensive information to existing features and vectors, while recreating features from the current imagery and other input sources. Our data integration services include joining spatial data layers with attribution, Geospatial database design, loading/integrating spatial data into Oracle, SQL Server, and MS Access etc. We have the skills required to deliver a successful cadastral mapping project. Our technicians have proven exceptional functionality parcel mapping and we are one of the leading Service Providers in Cadastral Mapping. Our services include; scanning, digitization, mosaic, geo-referencing and quality check of original village cadastral/ revenue maps and development of a detailed land information system. Agamasat’s professional cadastral mapping team, GIS analysts and project managers provide custom solutions that meet the requirements of our clients. Agamasat also provide provides subsurface utility engineering (SUE) services. The quality checks ensure the output data meets the specifications of the end user. 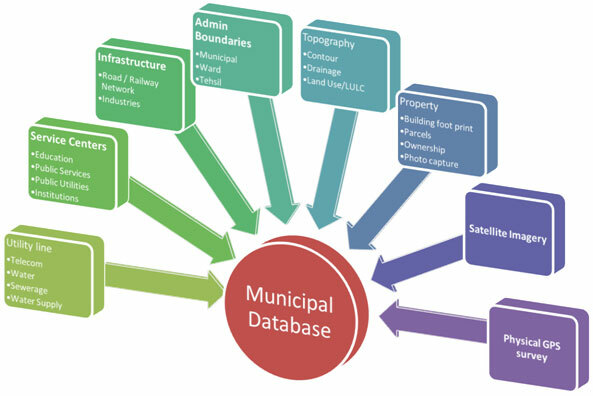 Agamasat Team is having got strong domain knowledge in developing a municipal GIS system which in-turn could be useful in addressing the needs of various local government departments such as Local Administration, Public Works & Engineering department, Public Health Department, Water supply, Town and Country planning Department, Public Safety, Land records, Tourism Department etc. Agamasat resources are having more than 12+ years of real experience in the technologies that enable field service management including global positioning systems (GPS) and geographic information systems (GIS). We work mainly for businesses that plan, maintain and operate assets and infrastructure details. The organisations that need for up to date and timely information about the location and status of the features can knock the doors of Agamasat. We write systems, data flows, ensure information arrives where and when it is needed and provide training. Our Remote Sensing services include city planning, pipeline routing, agriculture & forestry mapping, RF map datasets creation for Telecom players etc. Our geodetic and mapping experts create two-dimensional interactive mapping projects by overlaying third-party data, such as land cadastre ownership information, census data, and labels of geographic features etc. Agamasat is able to produce a seamless raster data product from multiple image tiles.